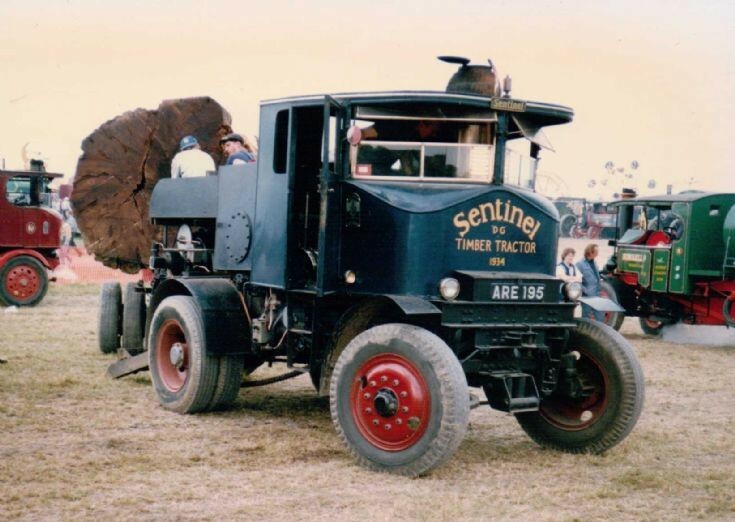 This well preserved Sentinel timber tractor was just about to start pulling a heavily loaded timber drug, unfortunately I didn't get a photo of it with the trailer. This 35mm scanned photograph was taken at the Great Dorset Steam Fair, Blandford Forum, Dorset, England in August 1996. That was my Uncles Sentinel, many wonderful memories I have of him, and going out in that amazing timber hauler. Added by Trevor Barker on 10 August 2014.